ULIC Centre offers each student different options to develop their level in a professional and motivating way. Combine group, one2one and online classes with cultural activities in the capital of Spain, as well as its surrounding areas. You, the student, choose what you want to do, and how you want to do it. After an initial assessment, which helps us decide the best and most effective path for you to follow, you then begin your language learning adventure alongside highly prepared teachers. Our experienced team are dedicated to creating a surrounding immersion experience, allowing you to gain the maximum benefit from your time with us. Here at ULIC Centre we base all lessons on the communicative approach. All courses also follow a text book, which is the core that teachers combine with extra activities depending on the goal of the student. The grammar and vocabulary are covered in an interactive and interesting way, and the topics are up to date. Through years of implementing this approach, we know this is just what a language student needs and wants. Last but not least, immersion plays a huge part in the development of the student and is also a great deal of fun. ULIC Centre strongly recommends that the student fit some hours of immersion into his/her schedule as it boosts both confidence and level. ULIC Centre´s Basic Cultural Immersion combines General Spanish lessons Monday to Thursday (6 hours a week) with Immersion workshops and meals where the student applies all the vocabulary and grammar learnt in class. This Immersion experience is perfect for people who want to boost their general Spanish level, in an interactive and motivating way, as progress is noticeable daily with the real life experience that follows each class. The immersion activities will be designed to both understand culture and day-to-day situations. Please contact us at info@ulic.es for bookings and course dates. You can also book your stay with us! ULIC Centre´s Global Executive Immersion consists of giving the students enough tools and support to be able to dip into the culture Madrid offers. The culture and the gastronomy will also be a great opportunity to understand the country. This makes it a lot easier for the student to feel comfortable in a new ambience. What makes this immersion plan unique is that all the activities, lessons & meals are one2one with a native, trained & qualified teacher who will create the perfect environment to develop the skills YOU the customer choose. On top of that, the meals are at a unique selection of some of the best restaurants in the city, worldwide celebrated. The main problems a person encounters when jumping into a new country and culture are not their own problems. They are most likely to be the barrier, the lack of tools to develop as well as a lack of time! At ULIC Centre we build the bridge to an efficient and productive immersion. Dive into the pool and live the experience called Spain! We offer 8 or 12 week full immersion SKE Spanish courses to prepare Pre-Initial Teacher Training (ITT) applicants with the language skills, and curriculum knowledge, they will need to teach the Spanish language in UK Schools. How is our SKE Spanish Course unique? As SKE Madrid takes place in the Spanish capital, you will immerse yourself fully in the Spanish language and culture. As a result, you can expect to significantly improve your language proficiency to a level that would simply be impossible to achieve in the UK. Our courses include two weeks of our unique Curriculum Immersion to prepare you with the themes and topics you will be expected to teach in your future career. We are UK- qualified Spanish teachers and our courses have been specially designed to be in line with the national curriculum. We know that small group sizes are essential for effective language learning, so we have a maximum of 9 students in each class. This ensures that you will have the opportunity to engage more with the speaking activities and receive 1-2-1 support from your teacher. 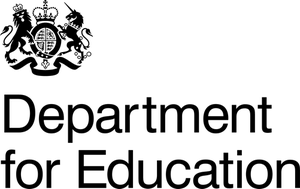 We are also professional resource designers, and on completion of the course you will have access to a bank of authentic teaching resources to use in the classroom during your PGCE placements, NQT year and future career. What are the SKE Spanish course dates for 2019? What will I study on the SKE Spanish Course? You will attend Spanish language classes with highly qualified and experienced native Spanish teachers in small groups. This means you will have more opportunity to practise your skills and receive personal help and support from your teacher. Every Friday the class will take place outside the classroom to enable you to practise your skills in the real world. For two full weeks you will study our unique Curriculum Immersion Course. Each module has been designed to be fully in line with KS3 Spanish, GCSE (9-1) and the revised AS & A-Level exams. Each curriculum input is accompanied by a cultural immersion trip to boost your cultural knowledge and give you the resources and ideas you need to take into the classroom. Each day includes themed Curriculum inputs and cultural immersion trips with teachers and expert local guides. 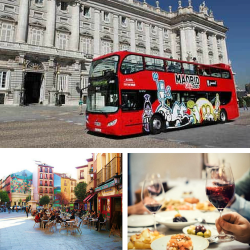 You will learn first-hand about the topics you will be teaching back home, while experiencing all the delights Madrid has to offer – including savouring authentic tapas with the locals. How much does the SKE Spanish course cost? Can I access any funding? *All funding will be administered by your course provider (i.e. your University or Teaching Alliance). Programme Funding will be paid directly to SKE Madrid on your behalf. *The Training Bursary will be paid weekly into your bank account while you are studying here with us. Your accommodation costs will also be funded by an additional DofE Training Bursary* of €228 (£200) per week throughout the duration of either SKE Spanish Madrid course. We will put you in touch with a number of accommodation options depending on your preferences (i.e. Hotel, Air BnB or University residencies). Obviously, where you choose to stay will depend on your own personal preferences and budget for the summer. In addition to the activities included in your course, we offer a number of Add-on Immersion Packages* for you to choose from if you wish to immerse yourself more in the culture, travel around Spain and practise your fluency with natives. *More details will be available when you have been accepted on the course. Contact us: info@ulic.es if you have any questions. Read the recent NatGeo guide to Madrid’s neighbourhoods here. For more information of DofE SKE funding download the brochure here.